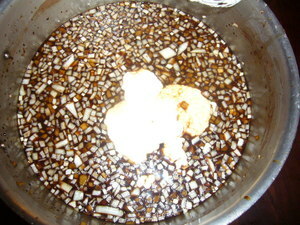 Add the first five ingredients to a pan and heat to dissolve the molasses and salt. 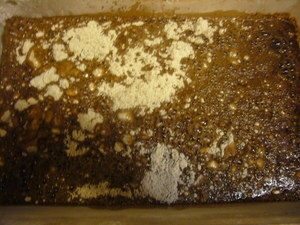 Once dissolved, remove from heat and cool to about 100 F.
Mix the next 4 ingredients in a plastic dough box. 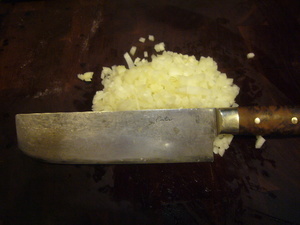 Mince the onion. Add to cooling liquid mixture. When liquid is cool, add the starter. 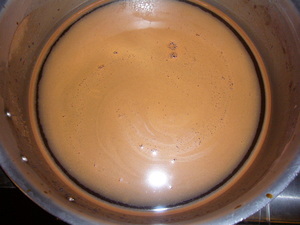 Stir to dissolve the starter into the liquid. 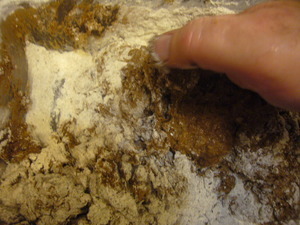 Pour the liquid into the flour mixture. Until all the dry flour is incorporated. 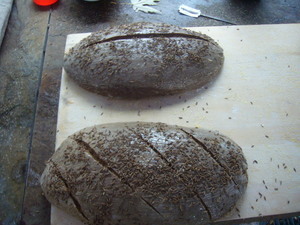 Flour your work table and the top of the dough very well. Turn the dough onto the work table. Flour the top of the dough. 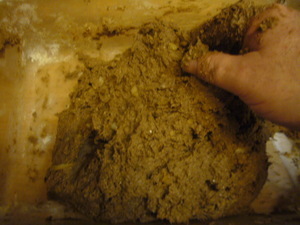 Pat the dough out into a square, moving the dough to keep bottom floured and not sticking to the work table. 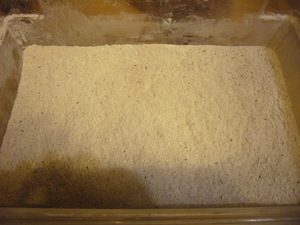 Brush excess flour off of dough. 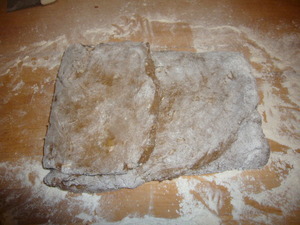 Fold the left third of the dough onto the center third. Brush off all excess flour. 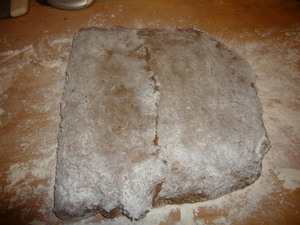 Fold the right third of the dough over onto the other two thirds. Brush off the flour. 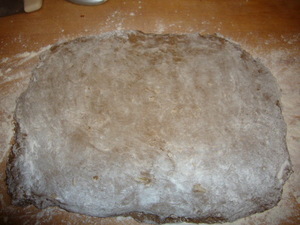 Rotate the dough 90 degrees so it's running the length of the work table. Pat out again. 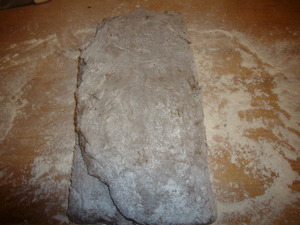 Fold Left side onto the middle, brush off flour. Repeat steps 11 through 15. 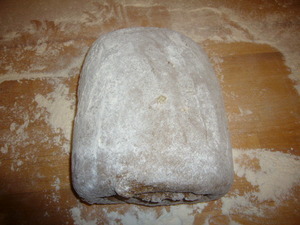 Place dough in the dough box to rest for 20 minutes. Repeat steps 11 - 15 one time. 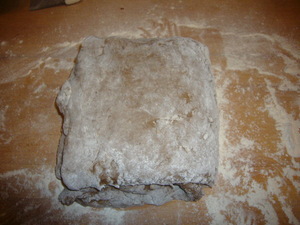 Return dough to the dough box to rest for 20 minutes. Repeat step 17 again, but let dough rest 8 hours or over night. You can go longer but not shorter. Divide the dough into 4 pieces. Pre-shape and allow to rest 10 minutes to relax. 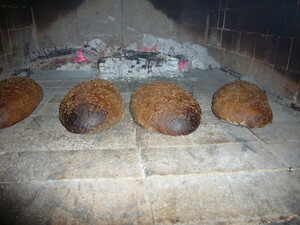 Finish shaping the loaves, allow to rise for at least 8 hours. 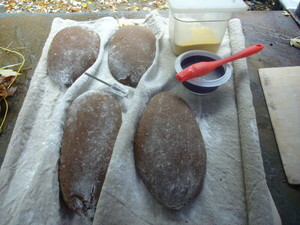 Slash loaves and paint with liquid of choice (I use 1 T of corn starch added to 3/4 cup of cold water, mixed, and brought to a boil while mixing.) 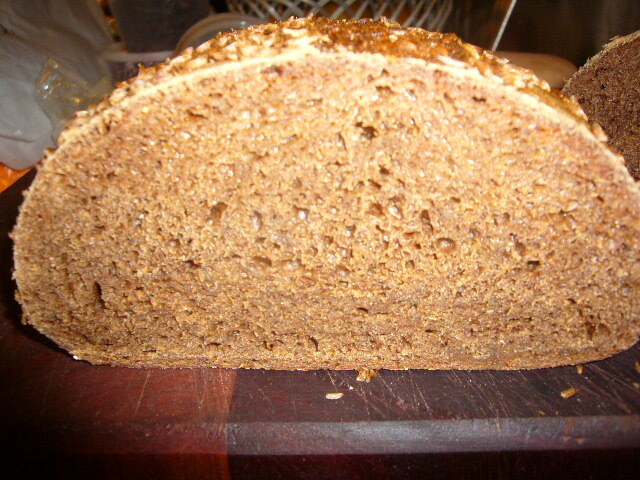 Sprinkle with caraway seeds. Bake at 375 until internal temperature is about 200F. 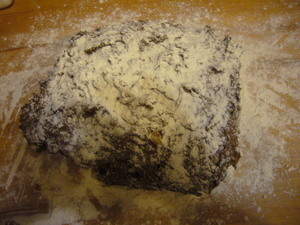 turn right side onto the other two thirds, brush off excess flour. 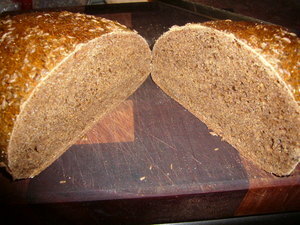 Be sure to allow to cool before cutting.